Amla / Gooseberry Pickle - This is a quick and easy Andhra style spicy amla pickle that can be made in just under 15-20 minutes. This is usually made in winters when amla are available in plenty. There are so many variations to the way this pickle is made. I am sharing the easiest one. This Amla Pickle tastes way way better than the store-bought ones which have so many preservatives. I normally make small batches so that the pickle tastes and smells fresh. The shelf life of this amla pickle is about a month if stored in the refrigerator. 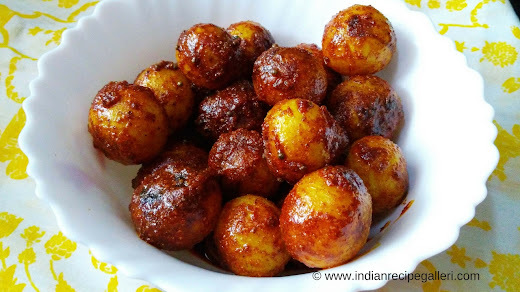 Amla Achar tastes very good with rice, dal, parathas, dosa, upma etc. 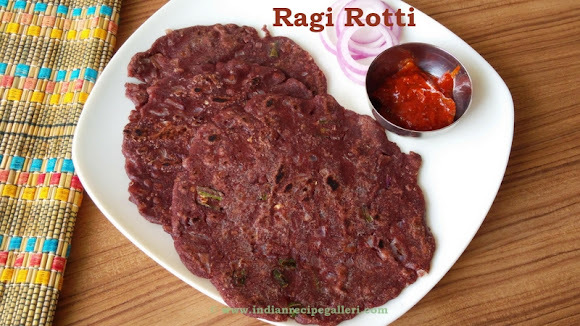 Ragi rotti or ragi roti is a tasty and very healthy South Indian Breakfast item. It is more popular in the rural areas of Andhra and Karnataka. Ragi is very rich in calcium, iron and fiber. Ragi rotti is a very simple dish that requires very few ingredients and considering the nutritional value of ragi, it should be made a part of the weekly menu, especially if you have kids. 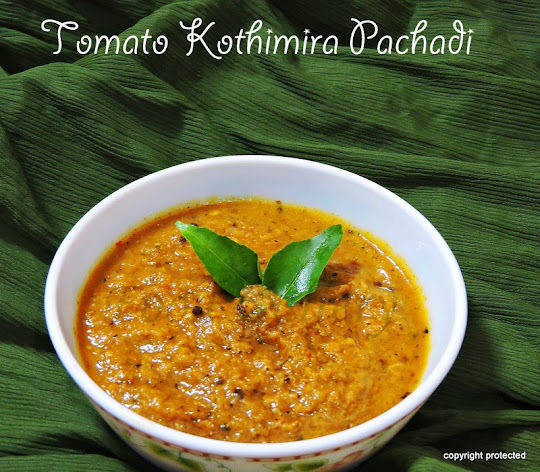 Most chutneys, especially Tomato chutney and Coconut chutney go very well with ragi rotti. Poha Upma, Ragi Dosa, Pesarattu or Green Gram Dosa, Coconut sevai, Instant Oats Paniyaram, Dosa, Idli.